The Balneo RS gets a 1.0-litre petrol that, thanks to turbocharging, puts out a max power of around 100 PS and a peak torque of 150 Nm. Internationally, this engine comes with a choice of either a 5-speed manual or a 6-speed automatic. We get only the manual gearbox, at least for now. On the other hand, the standard Baleno gets the same engines as the Swift. There is a 1.2 L petrol and 1.3 L diesel on offer. The petrol Baleno gets two automatic variants as well. While the diesel version comes with only a 5-speed manual. In terms of dimensions, both cars are identical. There is a difference in weight due to a different engine powering the Baleno RS. Interior room, boot space, fuel tank capacity, etc. will remain the same. Thanks to a smaller capacity engine and turbocharging, the Baleno RS is likely to be more fuel efficient than the current Baleno petrol 1.2 model. We’re expecting a fuel efficiency of around 22 KMPL for the Maruti Baleno RS. The Baleno RS is available in the top-end Alpha trim. This means it comes loaded with features. Maruti Baleno RS gets the same features as the top end trim of the Baleno including auto aircon, touchscreen AVN, keyless entry and go, etc. 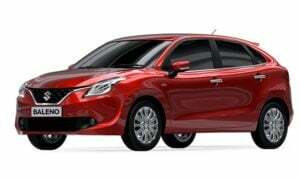 The Maruti Baleno is a fairly feature rich offering. However, it misses out on certain features such as a cooled glovebox, cornering lamps, cruise control. There are subtle differences between the exteriors of the standard Baleno and the RS variant. These include RS badging, black rims and new front and rear bumpers. Apart from that, most of the car’s exterior remain the same. The production spec Baleno RS is identical to the model that was on display at the Auto Expo. 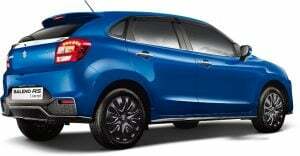 It features a black mesh grille, new front and rear bumpers, black alloy wheels. There aren’t any differences between the interiors of the standard Baleno and the Baleno RS. On the inside, the cabin gets an all-black finish with a hint of silver accents for the AC vents and centre console. The centrally mounted touchscreen pops out from the dashboard. Perhaps the most interesting bit here is the circular climate control display. Another eye-catching element is the blue backlit instrument console with a high res MID. 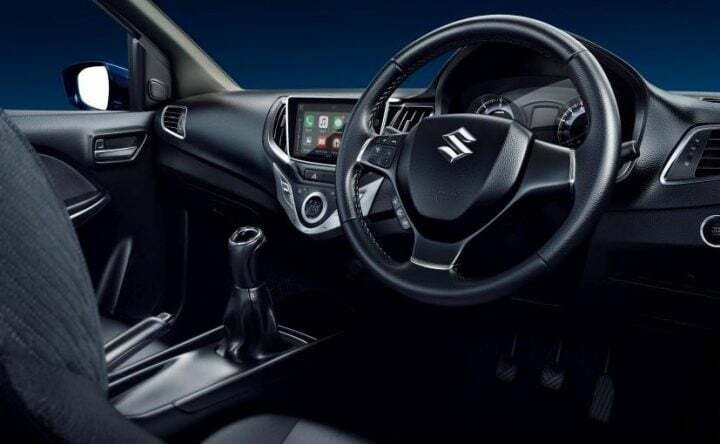 We wish Maruti had added a touch of sportiness to the cabin with contrast stitching and perhaps a flat bottom steering. 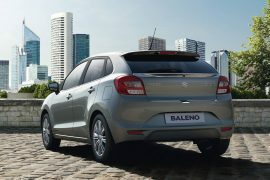 Since its launch, the Baleno has been a strong seller for MSIL. But it has not been able to appeal much to those looking for something a bit more sporty. The new Baleno RS is exactly what these customers are looking for. It will surely help strengthen the Baleno lineup in India. 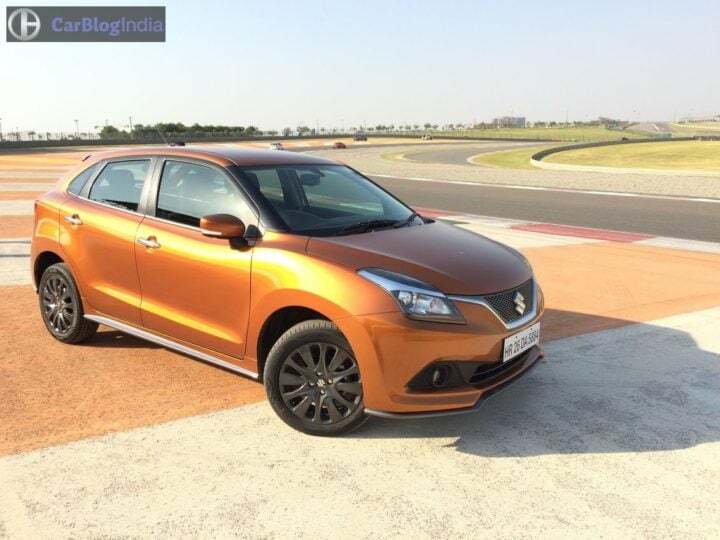 Price – The Baleno RS is almost 1.5 lakh Rupees costlier than the top-end petrol model. However, it offers much more performance and almost the same fuel mileage. 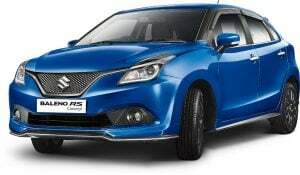 Specifications – The Baleno RS’s 1.0-litre Boosterjet engine is more powerful and produces more torques. Features – Equipment levels of the Baleno RSare the same as the Baleno Alpha trim. Design – There are subtle differences in the styling of the current Baleno and the upcoming Baleno RS. It gets sporty visual enhancements. What do you think of our Maruti Baleno RS vs Baleno comparison? Do let us know via the comments section below. And stay tuned to Car Blog India for more updates on the Maruti Baleno RS vs Baleno comparison.